You can purchase virtually any type of Parker hydraulic hoses San Jose CA from Bernell Hydraulics. Whether you need hoses for mobile, agricultural, industrial, refrigeration, or aviation systems, you can rely on one of our three authorized ParkerStore locations to either have the hose you need in stock or order it for you. The main benefit of buying Parker hydraulic hoses San Jose CA is knowing that your hoses come from a brand name you can trust. All Parker products are designed with maximum quality and performance in mind, and hoses are no exception. Parker is actually something of a leader in hose design and manufacturing, currently maintaining the largest selection of hoses in the world. Many Parker hoses are known for their superior durability, which is achieved through the use of materials that can resist heat, ozone, chemicals, oil, flames, and abrasion. Parker’s Super Tough Cover hoses provide 450 times the abrasion resistance of your average generic hose. When a hose fails, your hydraulic system fails. 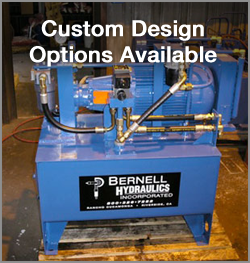 At Bernell Hydraulics, we know that time is money when it comes to most projects that require hydraulic equipment. That’s why we offer 24-hour assistance with hose repair and replacement. We call it our HoseDoctor service. We can send a skilled technician directly to your worksite to repair or replace bad hoses any time, day or night. We can even install custom hose assemblies onsite, provided that you have called ahead to our shop to get that custom assembly made.